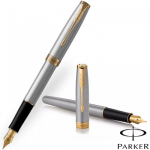 The parker Duofold Centennial GT Fountain pen is a stylish Fountain pen that commands respect. 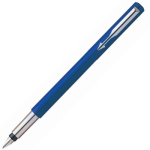 For it has been one of the most iconic fountain pens since the 1920’s. 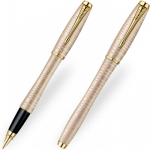 The Duofold comes with a solid 18k gold Nib and 23k gold trim. The Parker Duofold Fountain Pen stands out as a pen with class. It’s design is made for comfort as the finger grip is curved to help aid better control. The Duofold Fountain pen comes in a top quality gift box. 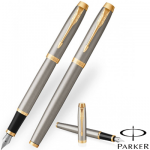 The parker Duofold Black GT Centennial Fountain pen is a stylish Fountain pen that commands respect. 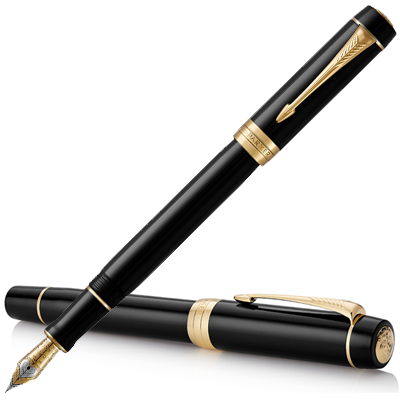 For it has been one of the most iconic fountain pens since the 1920’s. The Duofold comes with a solid 18k gold Nib and 23k gold trim. The Parker Duofold Fountain Pen stands out as a pen with class. It’s design is made for comfort as the finger grip is curved to help aid better control. 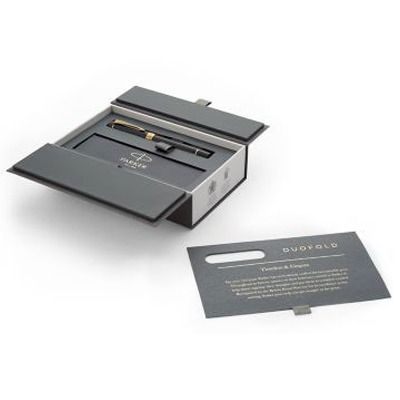 The Duofold Fountain pen comes in a top quality gift box.